Former UCLA coach Rick Neuheisel recruited Justin Combs to the Bruins and said Combs’ father, P. Diddy, had no idea who Neuheisel was when Diddy and Combs came to UCLA for a campus tour. Neuheisel made the comments on SiriusXM’s College Sports Nation on Tuesday. Neuheisel, a UCLA alum, now does college football radio and television. 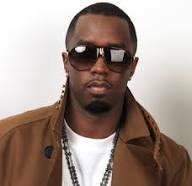 Diddy was arrested Monday after allegedly confronting UCLA strenght coach Sal Alosi and then attempting to go after another member of UCLA’s staff with a kettlebell. The incident happened after Combs, a redshirt junior cornerback had been removed from an offseason workout by Alosi.